For researching, conceptualizing, evaluating, designing, and communicating I prefer to use a VIsual THinking ENvironment or #VITHEN. There are three tools I use most on my Mac TOGETHER as a visual thinking environment. My preferred programs are iMindMap, Scapple, and Big Hairy Goal. I would rank them 1, 2.5, and 2.5 respectively. Note that I do not use these three programs alone and on many project use iMindMap plus (Scapple or Big Hairy Goal). Combined these three programs provide an excellent VITHEN. If you only want to work with one program, use iMindMap, the premier and most comprehensive product in this space. And, yes I coined the term VITHEN. Hi George, thanks for mentioning #BigHairyGoal as one of your favorite visual thinking and mind mapping apps. #BigHairyGoal is an excellent app. It is extremely useful for visual thinking. As noted, #BigHairyGoal as part of a comprehensive thinking environment is one of a triumvirate of programs. 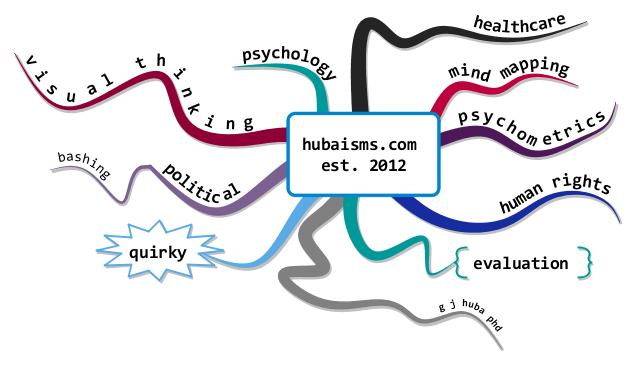 I almost exclusively use iMindMap for all of my mind maps as it is optimized for mind mapping and is the best product in the visual thinking and mind mapping space. However, I typically use Scapple and BigHairyGoal for data (numbers, text, images) collection and organization. I consider these latter two programs to be premier ways to organize a lot of data and understand how it all goes together by examining research sources together in a way that helps generate summaries, comparisons, and theoretical insights and both programs are very easy to use. Often this step then leads to a Buzan-style mind map that is empirically grounded and then further elaborated and presented in iMindMap. Your program helps me organize large amount of web snippets, text clips, images, videos, and spread sheet results into conceptual databases of information I consider important to justify a mind map. Your program and Scapple compete with TheBrain (also not a mind mapping program). 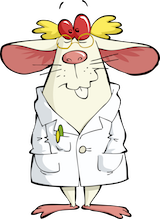 While TheBrain has many more features (and I think too many) as a minimally structured database, it does not present information in the compelling ways Big HairyGoal does and is not close to having the functionality to guide the development of summaries and theories and visual representations. Thank you for your excellent app. It would be very useful to have an iPad version as well. As a suggestion, it would be great to have a feature where you can select a snippet and then sent it directly to a BigHairyGoal project (as you can with Evernote).